Pick up at 8:30 a.m. from your hotel, the direction of our trip is South-West! First, we pay a visit to Boboshevo village on Struma River, only 75km from Sofia. The architecture and the murals of Virgin Mary church and the St. Dimitar monastery church are among the best-preserved art of Bulgarian Medieval Orthodoxy. Our next destination is Medi Valley Winery in the tiny village Smotschewo, at the southwest foothills of Rila Mountain, offering a breathtaking view to Kalin peak (2668m). This modern producer of wine is clearly dedicated to excellence in the winemaking. After a major renovation, the winery was recently reopened and welcomes its guests warmly for wine tasting that enliven the senses. Just witness the variety of fermenter sizes! 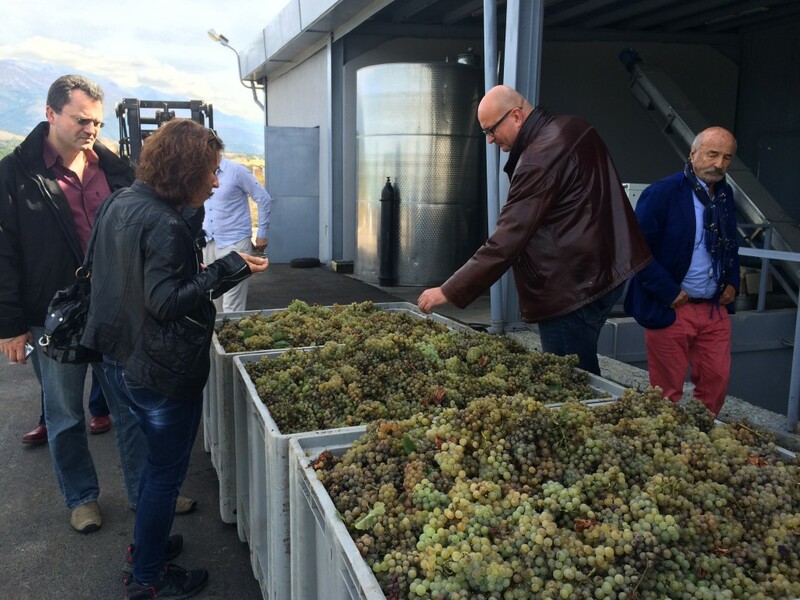 One of the most famous Bulgarian winemakers has been engaged in the project since 2010. The terroir here is influenced both by the Struma river valley and the mountain. The outcome – fleshy, full-bodied, harmony wines that are worth a try and will surprise you! We bring you back to the hotel around 6:00 p.m.